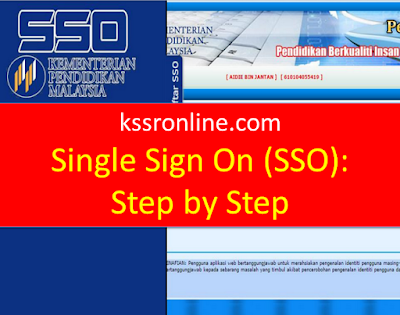 SSO KPM or Single- Sign-On is an online system from KPM which give access to all applications such as ePangkat, eOperasi, egTukar and others by using only 1 login ID and password. But remember to read the manual to register first. Teachers or users are required to register for the first time before using SSO.SSO Registration can be done through eMIS, eOperasi and APDM. Please download the Manual SSO below for the step by step to register for first time. The applications which are included are as the followings. Other applications in phase 2 will follow from time to time. Teachers can download Surat Siaran KPM regarding SSO below.